Wiper Blades at #4423 Pro Oil, 220 Centennial Rd. Wiper blades are the key part to ensuring that you can see safely during rain, snow, and sleet. Since, wiper blades are not used every day and are exposed to various weather conditions there is not a precise mileage or time interval in when to replace them. Ask yourself "How were my wiper blades working when it last rained". If you were not happy with your answer, allow your local Pro Oil located on 220 Centennial Rd., the opportunity to inspect and replace any needed wipers. 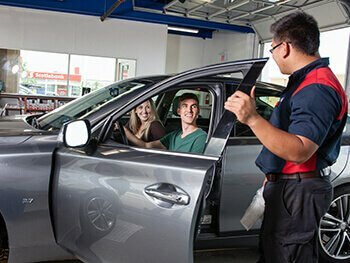 Allow the employee at your local Pro Oil the opportunity to inspect your wiper blades during your next visit. They are the key part to ensuring that you can see safely during rain, snow and sleet.